The main attractions of Paris are flooded with tourists. 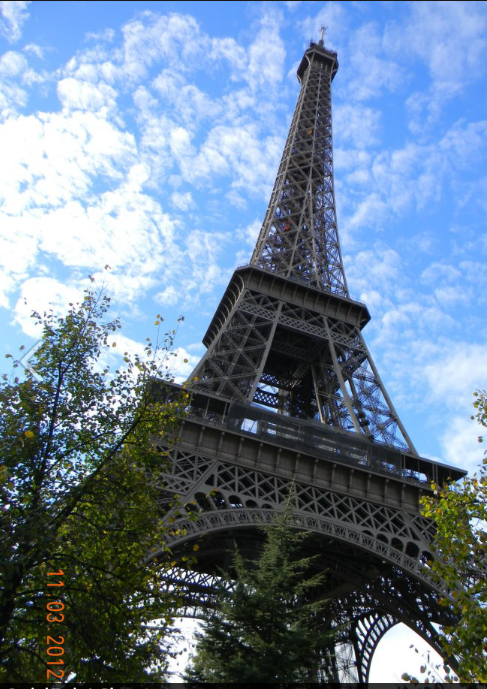 If you need to get away from the crowds of the Eiffel Tower or the Louvre there are plenty of options to choose from. Luckily the city has some hidden spots that will get you away from the crowds and show you a different side of Paris. The museum, dedicated to the work of Auguste Rodin, allows visitors to stroll through the Hôtel Biron and surrounding gardens where most of Rodin’s sculptures are on display. Most notably, Le Penseur (The Thinker), one of Rodin’s famous works can be found in the garden as well. Tickets to the full museum are 11.30 euro while entrance into the gardens is 5.30 euro. As the fashion capital of the world, Paris is one of the best places to go shopping. But if you want to get away from the crowded L’Avenue des Champs-Élysées and get a more authentic shopping experience then you need to explore the covered malls (Passages) of Paris. The Passage des Panoramas is considered the first covered mall of Paris. Dating back to 1799, each store has a sort of nostalgic charm of Paris. You can find it at 11 Boulevard Montmartre, 75002 Paris, France. but inexpensive place to grab a drink. Situated on Paris’s Left Bank, the bookshop has attracted literary enthusiasts since it opened in 1951. Unlike other book stores, Shakespeare and Company is not only a place to buy books but a place where writers come and create their literary masterpieces. The original Shakespeare and Company was opened in 1919 by Sylvia Beach and was a gathering place for writers, such as, Hemingway and Fitzgerald. When American George Whitman renamed his bookstore Le Mistral to Shakespeare and Co. in 1964 he wanted to continue the spirit of Beach’s shop. Built above an old train track in the 12th arrondisement, Promenade Plantee or Coulée verte René-Dumont, is a 3 mile long pathway that is full of flora and fauna. The pathway is elevated above street level and intersects with a few gardens giving walkers and joggers a uniquely green view of the city. The innovative museum opened in October 2014 as a symbol to promote contemporary art to France and an international audience. The design of the museum makes it a work of art itself. Architect Frank Gehry created an unconventional design that has made the museum an iconic symbol of the 21st century. From a permanent collection to seasonal exhibits, the Fondation Louis Vuitton is not your typical museum. Tickets to the museum cost 9 euros.